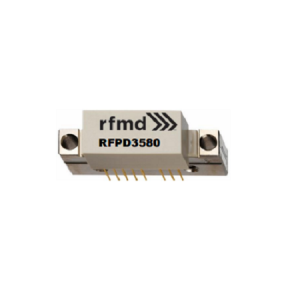 QPL9503 - Low Noise Amplifier - RFMW UK, Ltd. 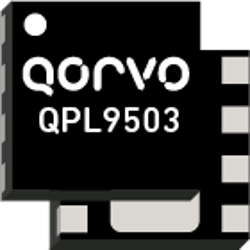 The QPL9503 is a flat-gain, high-linearity, ultra-low noise amplifier in a small 2 x 2 mm surface-mount package. The LNA provides a gain flatness of 2 dB (peak-to-peak) over a wide bandwidth from 3 to 6 GHz. At 5.5 GHz, the amplifier typically provides 21.6 dB gain, +35 dBm OIP3 at a 65 mA bias setting, and 0.9 dB noise figure. The LNA can be biased from a single positive supply ranging from 3.3 to 5 volts. 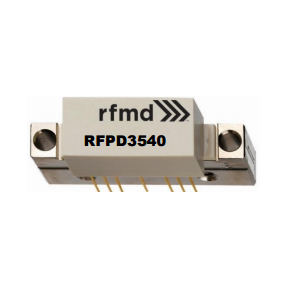 The device is housed in a green/RoHS-compliant industry-standard 2×2 mm package. 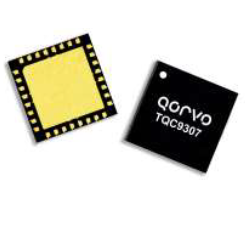 The QPL9503 is internally matched using a high performance E-pHEMT process and only requires five external components for operation from a single positive supply: an external RF choke and blocking/bypass capacitors and a bias resistor going to pin 1. This LNA integrates a shut-down biasing capability to allow for operation in TDD applications.